Martin A. Bubley | Bubley & Bubley, P.A. Martin A. Bubley earned his law degree from the University of Illinois College of Law in 1985. He was admitted to practice in the state of Illinois in 1985 and in the state of Florida the following year. He was later joined by his brother Daniel and formed the legal partnership of Bubley & Bubley, P.A. in 1992, which has now been serving Tampa clients in family law, estate planning and business law for more than 20 years. 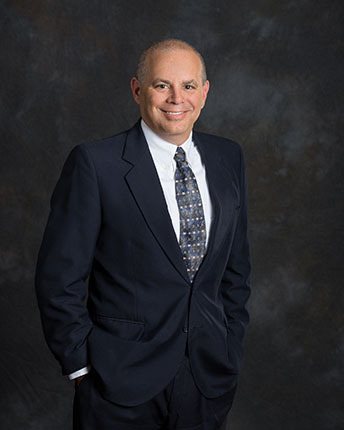 Martin focuses his legal practice in the areas of business transactions, estate planning and probate law. Prior to entering law school, Martin Bubley attended the Northern Illinois University College of Business, where he earned his Bachelor’s degree and Master of Business Administration (M.B.A.). After graduation, Martin was an Accounting Professor in the school’s Department of Accountancy, where he taught courses in Financial, Managerial and Intermediate Accounting. He also worked in the private sector as a Manager in the Accounting and Audit, Financial Consulting Services, and Litigation Support practices in the Chicago and Tampa offices of Arthur Anderson & Co.
Martin has qualified as an expert accounting witness in the United States District Court for the Middle District of Florida and has participated as an expert in the National Institute of Trial Advocacy program. He has been a contributing author for several textbooks and articles for financial accounting and topics related to business law. Martin has served as a pro bono (volunteer) attorney for the Guardian ad Litem program in Florida’s Thirteenth Judicial Circuit and serves as a Member of the Board of Trustees or Board of Directors for several not-for-profit organizations. In addition to maintaining a professional certification as a Certified Public Accountant in Florida and Illinois and a Certificate in Management Accounting, Martin is licensed to practice law in the states of Florida and Illinois as well. He is admitted to practice before all Florida and Illinois state courts, as well as the United States District Courts for the Middle District of Florida and the Northern District of Illinois, and also the United States Tax Court. Martin is a member of The Florida Bar, the Illinois Bar, the Hillsborough County Bar Association, the Carrollwood Bar Association and the American Association of Attorney-Certified Public Accountants. Martin is a member of the Florida Bar Real Property, Probate & Trust Law section and the Florida Bar Business Law Section.